Today in Manhattan, the new Women's Professional Soccer League (WPS) announced player allocations of American national team members for their seven franchises. One of the new owner/investors is NBA star, Steve Nash. NEW YORK (September 16, 2008) – Women’s Professional Soccer (WPS) announced the allocations of the U.S. Women’s National Team to its seven franchises Tuesday during a ceremony at the Sports Museum of America in downtown Manhattan. “The excitement for WPS allocation has been building for months as fans, coaches and even the players have been speculating about which athletes will be dispersed to each WPS market,” said Antonucci. “This is a big day for Women’s Professional Soccer, as teams now have Olympic gold medalists from Beijing allocated to their home cities along with other talented national team players. These are the first building blocks for the teams as the league begins the countdown to the inaugural 2009 WPS Season." “Today has been a truly exciting and important day for the League and for the entire sport of women’s soccer,” said Nash, who, along with former Yahoo! President and Chief Operating Officer Jeff Mallett, joined WPS as a part-owner and investor last February. Following this week’s U.S. Women’s National Team allocation will be the international draft of top global stars the week of September 22nd which will assign teams the rights to negotiate with four premiere international players. That will be followed by a draft of remaining players in early October and again in January. The order of the international draft will depend on the weighted rankings voted on by teams following the U.S. Women’s National Team allocation with the weakest-rated team selecting first and the strongest-weighted team selecting last. “The allocation process was developed to give players the chance to provide their input on where they wanted to play, allow for dialogue between league and teams about marketing potential and to give the best opportunity for a level playing field among teams come April 2009 and the start of the WPS Season,” said Antonucci. The allocation process began with members of the U.S. National Team player pool submitting their city preferences to the League. After reviewing the athletes’ lists, the teams likewise forwarded their player preferences to the League. A WPS committee examined both lists and considered League and team marketing initiatives before sending an allocation recommendation to the teams. Prior to the Sept. 16 announcement, the WPS Board of Governors held a 48-hour closed-door meeting in New York City to determine the final allocation results. During this time, the Board of Governors consulted with players, teams and league in order to accomplish the best possible dispersal for all parties. At the conclusion of the closed-door meeting, the Board of Governors forwarded its allocation decisions to Commissioner Antonucci for final approval. 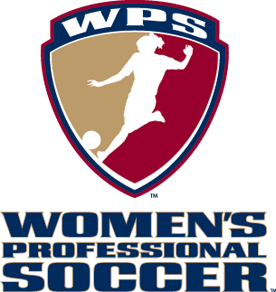 The mission of Women’s Professional Soccer (WPS) is to be the premier women’s soccer league in the world and the global standard by which women’s professional sports are measured. Play kicks off in the spring of 2009, with WPS teams based in the Bay Area, Boston, Chicago, Los Angeles, New Jersey/New York, St. Louis, and Washington, D.C. The league will expand in 2010 with the inclusion of Atlanta, Dallas, and Philadelphia. 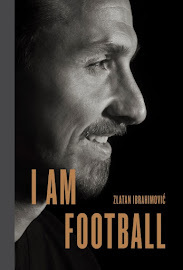 For more information, visit www.womensprosoccer.com.